Upcoming Shows and Entertainment at Atlantis, Paradise Island! 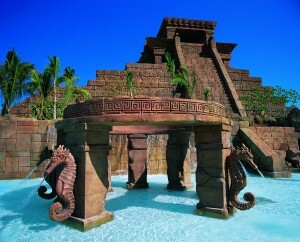 Atlantis, Paradise Island is THE mega resort in the Caribbean. With a water park, 21 swimming pools, 75 gaming tables, 750 slot machines, a dolphin cove, and of course, the world-class beach, this lost city knows how lure guests, and one of the most exciting parts of the resort is its non-stop entertainment. Check out these great shows (and deals) coming up on Paradise Island! Grammy-winning, mega country superstar Keith Urban comes to the Atlantis Imperial Ballroom this September as part of the Atlantis LIVE concert series. This intimate show in paradise is not to be missed! Plus Rob Lake, one of the world’s top illusionists, ends his run at Atlantis on Sep. 6, so make sure to grab one of his last Atlantis shows! Also in September, get ready for HGTV Weekend, Sep. 4-6. This epic three-day event includes an ocean view BBQ with CMA songwriters on Friday, a Meet & Mingle on Saturday, and a Talk & Taste Brunch on Sunday. Announced guests include Tiffany Brooks from HGTV Smart Home 2015; John Colaneri and Anthony Carrino from America’s Most Desperate Kitchens; and Alison Victoria from Kitchen Crashers. In November, guests can experience the Battle 4 Atlantis when eight of the top NCAA teams—Syracuse, UCONN, Michigan, Texas, Gonzaga, Washington, Texas A&M, and Charlotte—will clash in an epic tournament over Thanksgiving weekend. And now’s the best time to book with Atlantis’ $250 Instant Savings offer! Discover now with Emmy-Winner Ashley Colburn and Paradise Found! 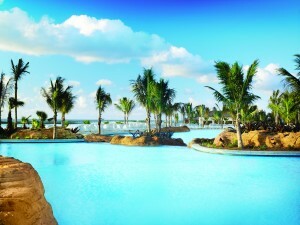 Valid at Atlantis, Paradise Island (Beach, Coral and Royal Towers), The Cove Atlantis, The Reef Atlantis, and Harborside at Atlantis for guests who book for four consecutive nights or longer. Bookings must be made before Sep. 2, 2015 for travel through Dec. 26. Black-out dates—Nov. 22—27, 2015. The $250 Atlantis Instant Savings is valid for new bookings and only in conjunction with air-inclusive packages from any U.S. or Canadian gateway. A maximum of 1 instant savings offer is allowed per room; up to two rooms allowed per booking on this promotion. A minimum of two occupants per room is required. We like to eat signature dining, so this is sponsored content.